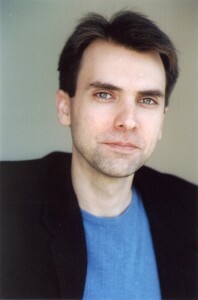 SEAN OGREN (Director) began acting at the age of seven and first appeared on Wheaton Drama’s stage in the 2011 productions of All My Sons as Chris Keller and 1776 as John Adams. He has since become a familiar face on the western suburb boards portraying Brindsley Miller in Black Comedy, George Bailey in It’s a Wonderful Life Radio Play, Philip Lombard in And Then There Were None, Harold Hill in The Music Man, and Sir Robin in Spamalot. He also shared the stage in The 39 Steps as a man, some other men, and even a woman. And at Geneva Underground he he was nearly overshadowed by his own mustache as he portrayed John Wilkes Booth in Assassins. As a director, Sean has overseen productions from coast to coast, and at WDI he shepherded The Elephant Man into the spotlight, warmed hearts with It’s a Wonderful Life Radio Show and raised the revival of Erich Maria Remarque’s WWII drama Full Circle to great acclaim. He is the Artistic Director of Bard in the Burbs production company where he directed an in-the-round production of Twelfth Night and a rousing production of A Midsummer Night’s Dream. He is ever thankful to his parents for introducing him to theater green rooms while still in the womb, and to amazing wife and son for understanding his crazy passion for theatre.